The pearl has always stood as the heart and soul for MIKIMOTO, the Japanese jewellery house whose founder Kokichi Mikimoto patented the first cultured round pearl. The painstaking detail in which this pioneer created these oceanic gems is tribute to the unrelenting precision of Japanese craftsmanship. It is for this reason that the pearl, with its beguilingly flawless appearance, has come to symbolise so many virtues — wisdom, purity, generosity and integrity. 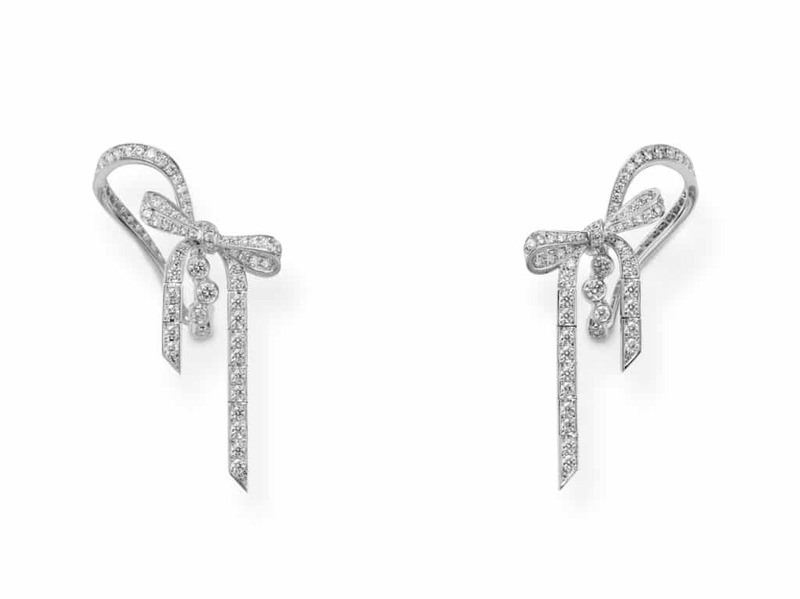 Recently, MIKIMOTO unveiled its latest high jewellery collection “Jeux de Rubans”. 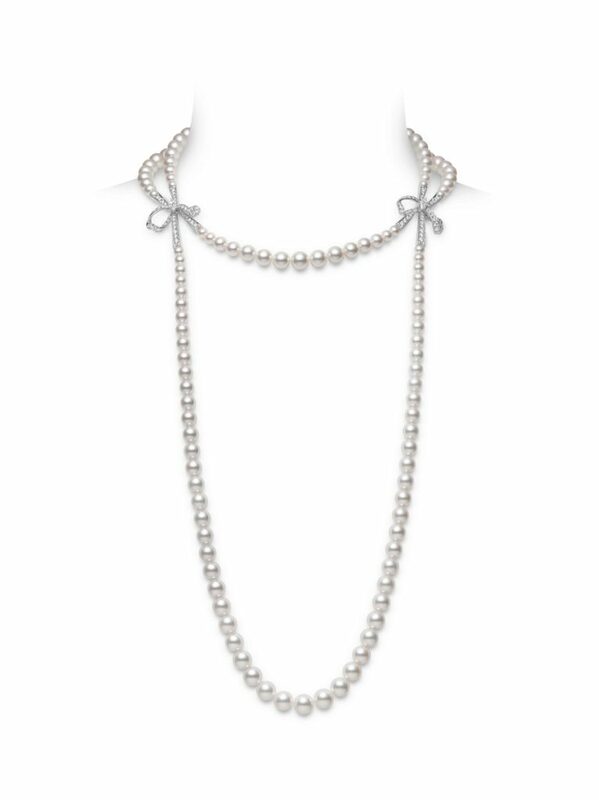 The fascinating pieces in the new collection are inspired by the motif of an elegant ribbon, with highlights including an asymmetrical eight-strand pearl necklace highlighted by a White South Sea cultured pearl set with pink sapphires, and a flamboyant necklace created with Japanese Akoya cultured pearls and diamonds, with the design of a tightly knitted bow. The stunning pearl and brilliant gemstones used in the collection reflect the high jeweller’s long-standing commitment to craftsmanship and the cultivation as some of the most perfect pearls on the planet. As the festive season approaches, consider these six MIKIMOTO masterpieces as a special gift, or a classic accessory to help you sparkle and stand out from the crowd at end-of-year parties and gatherings. 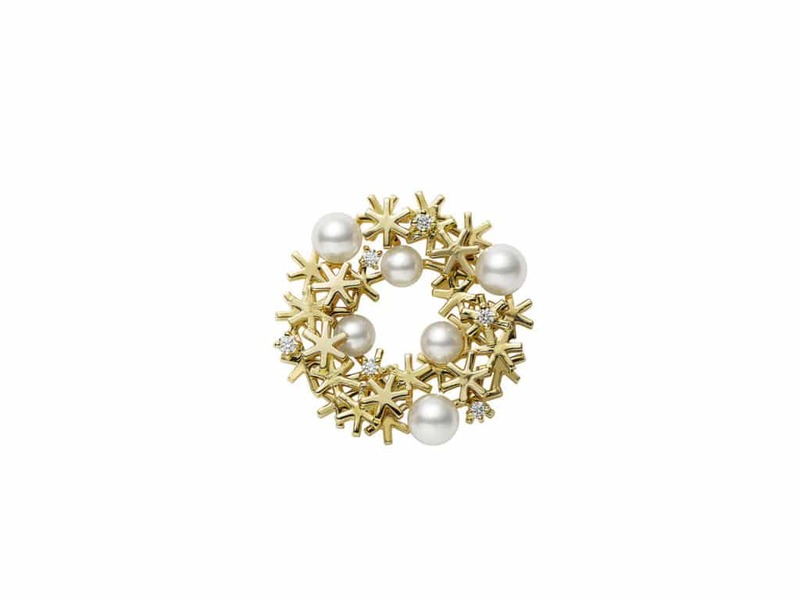 Natural elegance has always been at the heart of Mikimoto’s philosophy, and this is illustrated with this gold brooch. Featuring pearls and snowflake motifs, these design elements are clustered together to create a purposeful and organic Christmas wreath. This radiant piece can truly shine through by being pinned on a crisp blouse or jacket. A covetable gift, especially for women of distinction. This accessory is a joyous celebration of femininity, giving Mikimoto’s ribbon motif a luxurious twist. Made with 18K white gold and diamonds, these earrings are designed for the whimsical dreamer, unafraid of trying adventurous and imaginative designs. This jewellery piece can be complemented with vintage-inspired clothes, or even a white frilly lace dress. 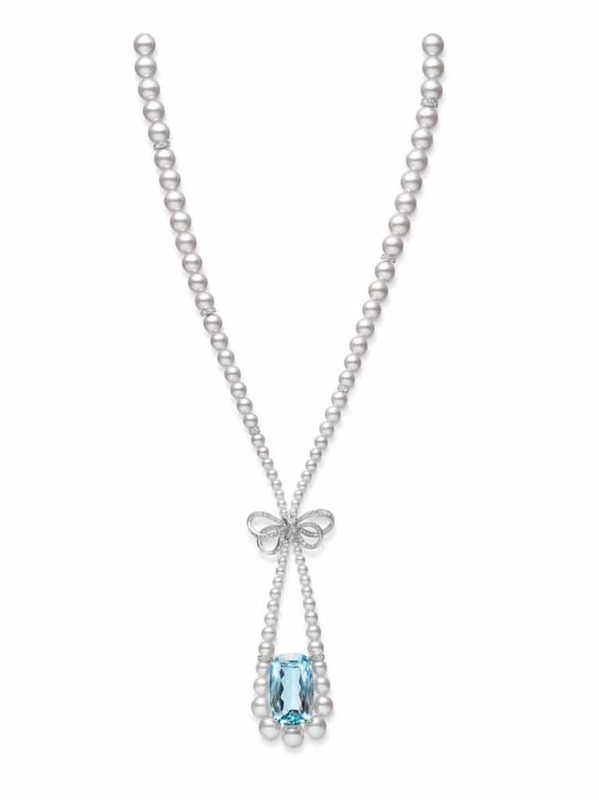 At the heart of this stunning drop necklace is a vivid aquamarine gem, surrounded by a bevy of pearls, and tied together with a bow in white gold and diamonds. This is undoubtedly a strong statement piece, unapologetically majestic and suited for the matriarchs in our lives. Given its dramatic length, this piece is best styled with a dress that features a low neckline. Winter season is fast approaching. 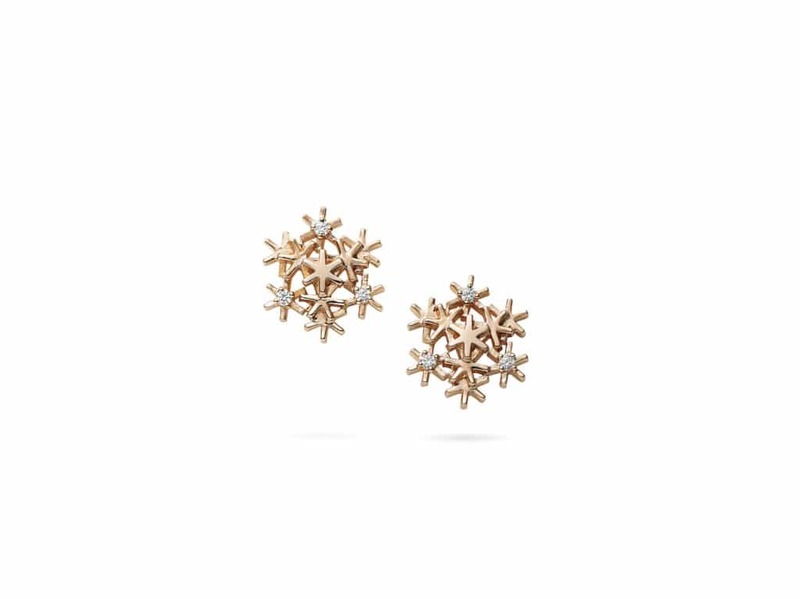 And with Christmas just around the corner, these snowflake inspired earrings are guaranteed to bring some joy. Made in 18K pink gold and diamonds, their subtle and elegant design means they are apt for a variety of occasions both formal and casual. This includes cocktails, office events, end-of-year dinners – the list is endless. Praised for their lustre and iridescent hues, MIKIMOTO has always taken pride in presenting the best of Akoya pearls, and this necklace is no exception. 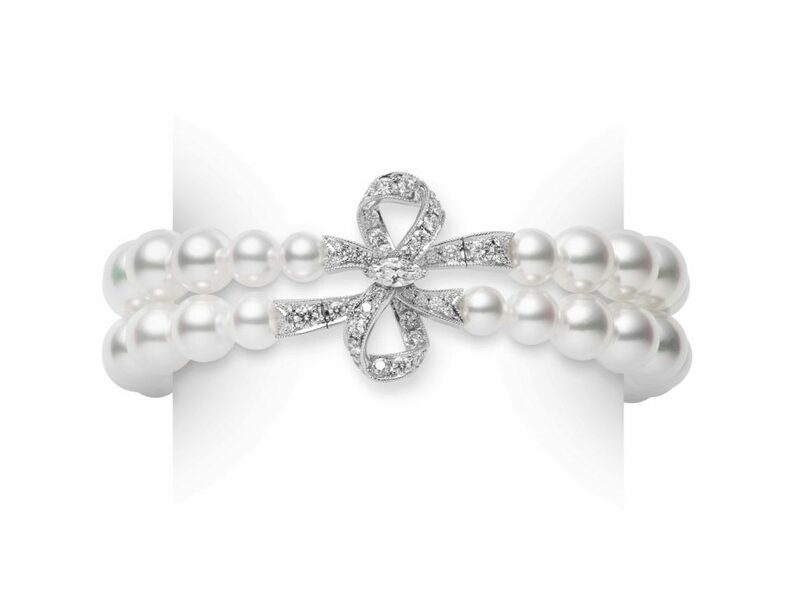 It’s symmetrical design creates a wonderful contrast between the shorter and longer pearl strands. The two ribbons, which would normally play an important role in MIKIMOTO’s latest high jewellery collection, this time play a supportive role. All of this ensures that the pearl strands of this double strand necklace are truly the standout feature.